As the varieties and utilities of drones quickly multiply, the use of unmanned aerial vehicles (UAVs) has quickly mounted throughout the US Armed Forces. 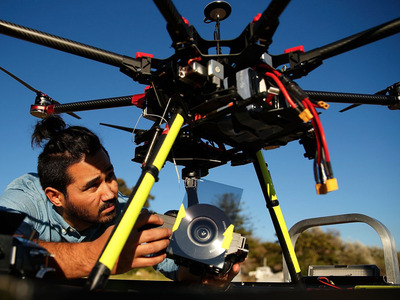 From reconnaissance roles within the US Army to attack roles within the US Air Force, and with squadrons within both the Navy and the Marines, the proliferation of drones has touched every element of the US Armed Forces. 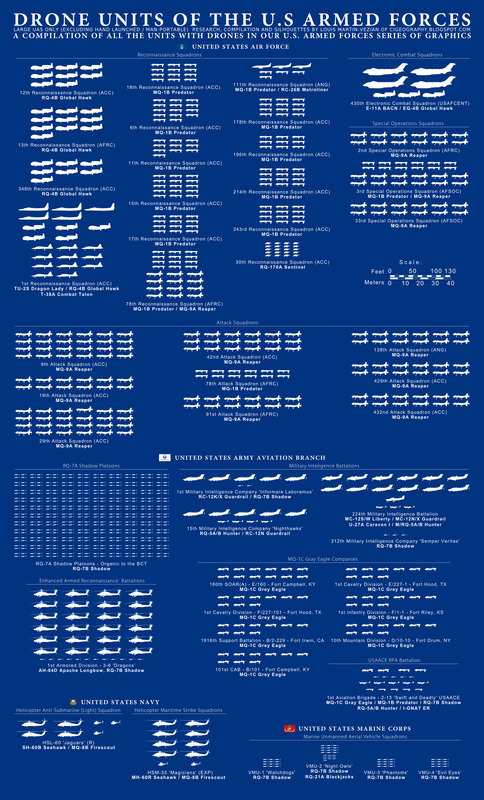 Currently, the US Air Force has the highest number of drone squadrons. The Air Force uses drones in reconnaissance, special operations, attack, and electronic squadrons. The Navy, conversely, only fields the MQ-8B Fire Scout in two squadrons. The MQ-8B is a helicopter drone that is primarily used for reconnaissance, situational awareness, and to provide fire control. 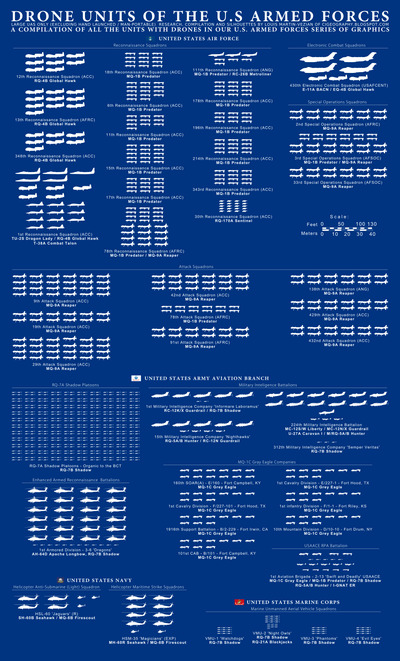 Altogether, according to the graphic, the US Armed Forces has 50 units that make use of UAVs in some capacity.